The San Diego Marriott Business Council is excited to announce that they will once again join forces with Rady Children’s Hospital to host their 21st Annual Champions for Rady Children’s Golf Tournament. Last year’s event raised a record $92,000 in support of Rady Children’s! The tournament brings together sponsors, donors, and players for a fund day of golf and giving. Some of this year’s sponsors are: Schindler Elevator Co., Magic Laundry Service, relaxx Dry Cleaning, PSAV, TownePark, Radiant, KONE and GES. This year’s tournament will take place on Monday, June 5 at Maderas Golf Club, in Poway, CA. Along with a great game of golf, players will be treated to amenities, such as breakfast, lunch, dinner, and drinks, and have the opportunity to win several different prize packages throughout the day. In addition, participants from around the globe are invited to participate in the online auction through BiddingForGood, with fantastic prizes including travel, merchandise and dining. The auction closes the day of the tournament 6/5/17 at 6:00pm PST. Players at the tournament will have the unique opportunity to interact first-hand with the miracles that happen every day at Rady Children’s. We will have visits from a few special VIPs (Very Important Patients) and their families. The strength demonstrated by Rady Children’s patients and their families serve as an inspiration to players and volunteers alike, and will prove to be the true reward of the day for all involved. The San Diego Marriott Business Council is a group of hotel leaders from both Marriott Managed and Marriott Franchised hotels. This year, we were joined by leaders from the Starwood community following our merge. Throughout the year, many Marriott locations in San Diego host events at the various hotel properties. The annual golf tournament has consistently been the biggest event of the year, and 2017 expects to be no different. In fact, following the conclusion of the tournament, we will surpass the 2-million-dollar mark for total giving. 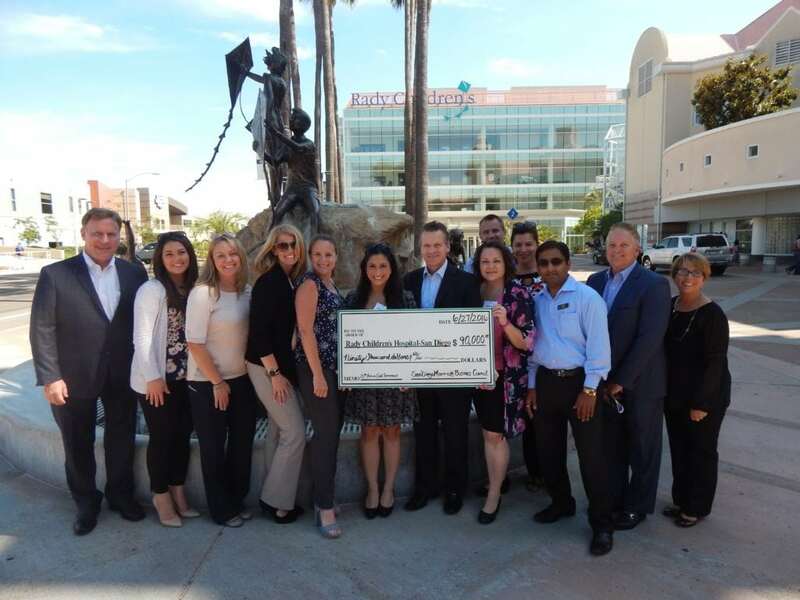 The San Diego Marriott Business Council has been a longtime, proud sponsor of Rady Children’s Hospital through their partnership with Children’s Miracle Network Hospitals. These foundations have been working diligently to ensure the best in pediatric care for San Diego kids. Rady Children’s Hospital, located in central San Diego is a 551-bed pediatric facility treating patients from all over Southern California. In 2016, US News & World Report ranked Rady Children’s among the best children’s hospitals in the nation. They are committed to the health and welfare of their patients and their families and thanks to their many sponsors can continue to provide this exemplary service year after year. Next post: Panda Express feeds 88 Dance Marathon programs!